Acacia Chalets are ideally located, only a 5 minute drive between Margaret River town, famous surf beaches such as Surfers Point & Rivermouth beach, the golf course and world famous wineries. At Acacia Chalets we offer a peaceful, spacious atmosphere to help our guests unwind and take in the magic of Margaret River. There are only four chalets on the 10 acre property ensuring privacy for all our guests. 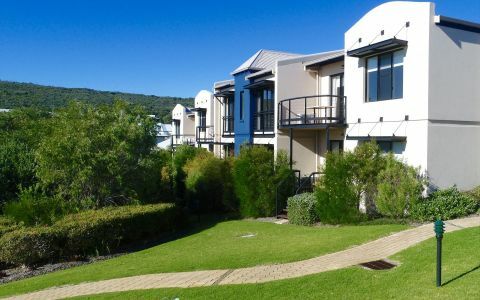 New, spacious, self contained 2 and 3 bedroom chalets, with jarrah timber floors and limestone feature walls. Each chalet is tastefully appointed with full gourmet kitchen, comfortable lounge and large covered timber decks. Two bedroom chalets have their own seperate private ensuites, king size bed in main bedroom, two singles that can convert to a king size bed in second bedrooms. Three bedroom chalets have one ensuite and second bathroom/laundry, Chalet 4 has a wood fire in lounge. All chalets have reverse cycle airconditioning, free wireless internet, satellite TV, DVD, CD players. Gas BBQ on large, covered timber decks witch scenic outlooks and undercover parking. Great Location & Great Value, affordably priced AAA rated 4.5 star accommodation in the heart of the Margaret River surf & wine region. 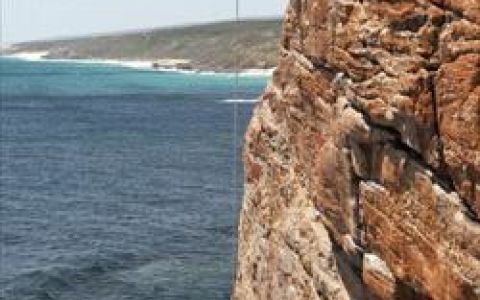 Close to surf beaches, Margaret River town, world class wineries, galleries and restaurants. Rated #1 on TRIPADVISOR in 2010 currently rated #2 for Margaret River. With only 3 chalets, Acacia Chalets is never crowded, have your own slice of Margaret River paradise in a beautiful natural bush setting yet still be close to all the attractions and amenities that Margaret River has to offer. 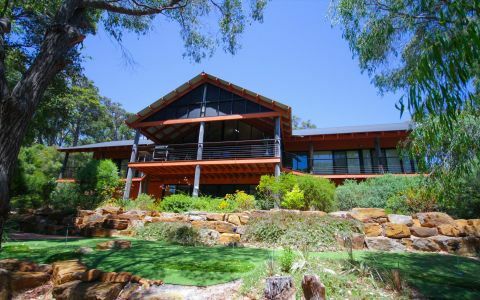 Affordably priced 4.5 star accommodation in the heart of the Margaret River wine region. These spacious, fully self-contained chalets capture that "Margaret River" feeling with jarrah timber floors and limestone feature walls. Modern open plan living and kitchen area looking out onto large covered timber deck with scenic outlook. Two bedroom chalet, each bedroom has its own private en-suite. Bedroom 1 - Queen Size Bed - separate en-suite with shower, vanity & toilet. Bedroom 2 - Two extra long single beds (can be converted to 1 king size bed - please request if you wish bed to made up as a king size bed) with separate en-suite with shower, vanity, toilet & washing machine. Rate is based on 2 adults, or 1 couple, sharing one bedroom and one bathroom. If booking is for 2 adults who require two bedrooms and two bathrooms an additional fee of $40/per stay will apply. Great Location & Great Value, affordably priced AAA 4.5 star accommodation in the heart of the Margaret River surf & wine region. Rated #1 on TRIPADVISOR 2010, currently rated #2 for Margaret River. These spacious, fully self-contained chalets capture that "Margaret River" feeling with jarrah timber floors and limestone feature walls. Modern open plan living and kitchen area looking out onto large covered timber deck with scenic outlook. Two bedroom chalet with each bedroom having its own private en-suite. Main bedroom with Queen Size bed, separate en-suite with spa bath, shower, vanity & toilet. 2nd bedroom has 2 extra-long single beds that can be made up to 1 king size bed, separate en-suite with shower, vanity, toilet & washing machine. Free wireless internet. Cot & Highchair available at $40.00 per stay. Children over 2yrs old are charged the same rate as adults. These spacious, fully self-contained chalets capture that "Margaret River" feeling with jarrah timber floors and limestone feature walls. Chalet 3 is a large three bedroom, two bathroom chalet with spacious modern open plan living and kitchen area overlooking a dam. Main bedroom with Queen Size bed, separate private en-suite with shower, vanity & toilet. Second Bedroom - Two extra long single beds (can be converted to 1 king size bed, please request if you wish bed to made up as a king size bed) . Third Bedroom - Two single beds. 2nd bathroom with shower, vanity, toilet and washing machine. Chalet Four has a wood fire and overlooks the farm dam. Currently rated #2 on Tripadvisor for Margaret River. With only 4 chalets, Acacia Chalets is never crowded, have your own slice of Margaret River paradise in a beautiful natural bush setting yet still be close to all the attractions and amenities that Margaret River has to offer. These spacious, fully self-contained chalets capture that "Margaret River" feeling with jarrah timber floors and limestone feature walls. Chalet 4 is a large three bedroom, two bathroom chalet with spacious modern open plan living and kitchen area, wood tile fire & overlooks the dam. Third Bedroom - 1 QS bed. 2nd bathroom with shower, vanity and bath. Separate toilet and laundry with washing machine. Cancellation fee of $50 will be retained on all cancelled bookings. A no refund policy applies if booking is cancelled within 7 days of arrival date and full payment will be charged unless accommodation is re-booked. In Peak Periods no refund will be given unless accommodation is re-booked. If you are using GPS please enter WILDERNESS ROAD as there are two Yates Roads in the shire. Yates Road runs off Wilderness Road at teh Caves Road end. From the Visitors Centre travel south along Bussell Highway. At the top of the hill turn right into Wallcliffe Road (you will see the high school on the corner. Travel 1km along Yates Road and you will find Acacia Chalets signposted on your left.. If you are using GPS please enter WILDERNESS ROAD as there are two Yates Roads in the Shire.